Following reports from Germany on the Bf-109, UK aircraft manufactures were urged to accelerate the improvement of their fighter designs. 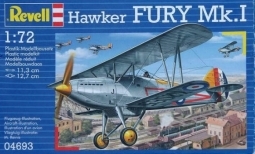 Hawker concentrated it attention on re-designing the Hurricanes main wing; introducing both all metal skinning and localized strengthening (although fabric covering of the control surfaces and rear fuselage was to be retained). 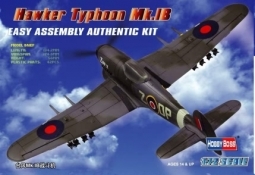 More significant than this though was the introduction of variable-pitch propellers and by the time of the Battle of Britain, almost all Hurricanes were fitted with three bladed propellers. Upgraded aircraft also featured, an all metal wing, landing lights and eight 0.303 inch machine guns. 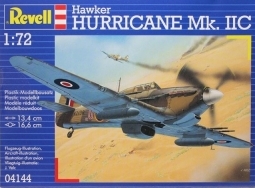 The Hurricane was the mainstay of the RAFs fighter force in the Battle of Britain and went on to serve in all other theaters of War, arriving in some cases up to two years ahead of the Spitfire. 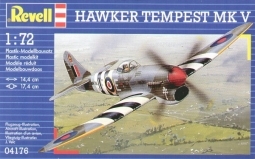 Despite its obsolescence, it has been argued that the Hurricane had destroyed more aircraft in air-to-air combat than any other allied fighter.